-Read the excerpt below from the Scott Whitlock 's post at MRC.org. Despite devoting 33 stories to the dramatic case of blind Chinese dissident Chen Guangcheng, NBC and ABC have all but ignored the major cause of the human rights activist: Opposing the communist country’s policy of forced abortion and sterilization. From April 28 to May 7, the two networks only mentioned this detail five times – and then only in passing. CBS‘s coverage proves that downplaying Chen’s opposition to abortion is one of editorial discretion. The network’s first story was on April 28 and the phrase “forced abortions” was used repeatedly all the way through May 3. Almost 50 percent of CBS’ stories mentioned the issue. The little reported story is that Chen Guangcheng has protested China’s forced abortion policy where a Chinese mother who attempts to have a second baby will if caught, be dragged to the hospital by the police and forced to endure a late term abortion – even if it is mere hours before the actual birth. Notice the silence from the very people in America who were howling to the heavens at the idea that anything might slow down the rush to abort when an expectant mother arrives at a Planned Parenthood abortion [center]? What is the reason for this silence on Chen’s major cause? …Considering the fawning praise some in the media have heaped upon dictatorial China, it’s telling that journalists aren’t interested in the disturbing nature of forced abortions. (This study looked at the morning and evening newscasts from April 28 through the May 7 NBC’s Today show, CBS This Morning and ABC’s Good Morning America. In 2005, activist lawyer Chen Guangcheng became internationally known for organizing a class-action lawsuit against the city of Linyi, China, for excessive enforcement of the one-child policy [he exposed many forced abortions and sterilizations]. Chen was placed under house arrest, and then in August 2006, Chen was sentenced to prison. After release from prison in September 2010 he was placed again under house arrest at his home in Dongshigu Village. Chen and his wife were reportedly beaten shortly after a human rights group released a video of their home under intense police surveillance in February 2011. Chen’s case received sustained international attention, with the U.S. State Department, the British Foreign Secretary, Human Rights Watch, and Amnesty International issuing appeals for his release; the latter group designated him a prisoner of conscience. On April 22, 2012, Chen escaped his house arrest and fled to the U.S. Embassy in Beijing. After negotiations with the Chinese government, he left the embassy for medical treatment on May 2, 2012, and it was reported on May 4, 2012 that China will consider allowing him to travel to the United States to study. 1. 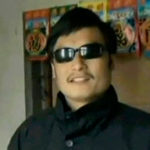 What types of bias did the networks display in their reports on Chen Guangcheng? 1. Ignoring the main reason for Chen’s imprisonment and house arrest is bias by omission: leaving out the most important part of the story in this case.